Today, Samsung officially launched Samsung Pay mobile payments service for India. Their partners are Visa, MasterCard and American Express, who act as gateways. 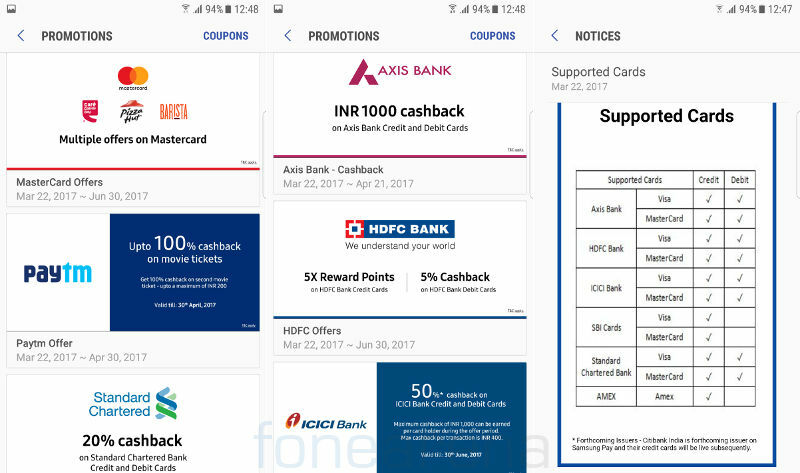 The service is supported by these banks : Axis Bank, HDFC Bank, ICICI Bank, SBI Cards and Standard Chartered Bank cards, and will soon support Citibank India. Samsung Pay will also be available on the Samsung Gear S3 Smartwatch soon. Apart from offer simply tap and pay on the go using the registered cards, the service also supports Paytm integration so that you can pay by scanning QR codes securely, generating one-time codes for merchant payments and also do peer to peer money transfers, as well as the government’s Unified Payments Interface in the app. We are yet to see UPI in the app, so it might get via an update soon. Our insights show that convenience, security and acceptance are seen by consumers as the most important influencers when choosing among different digital payment options. With Samsung Pay, we give our consumers the smartest way to make digital transactions by far. 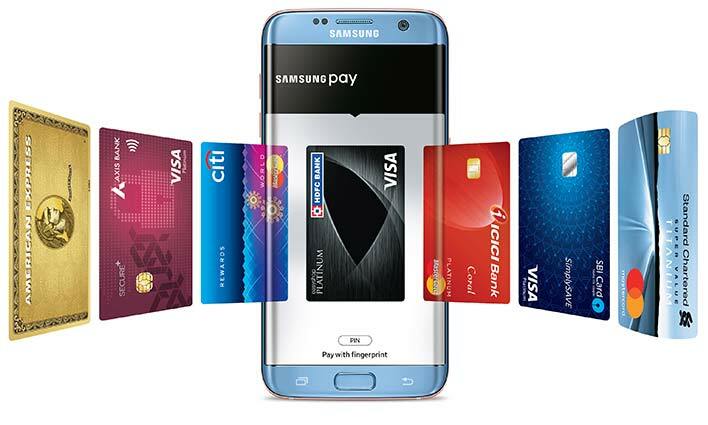 Samsung Pay is highly secure through the signature KNOX Platform, fingerprint authentication and tokenization. We have partnered with major banks and card networks to give our consumers the widest range of choices, and are working on bringing more and more partners on board soon.